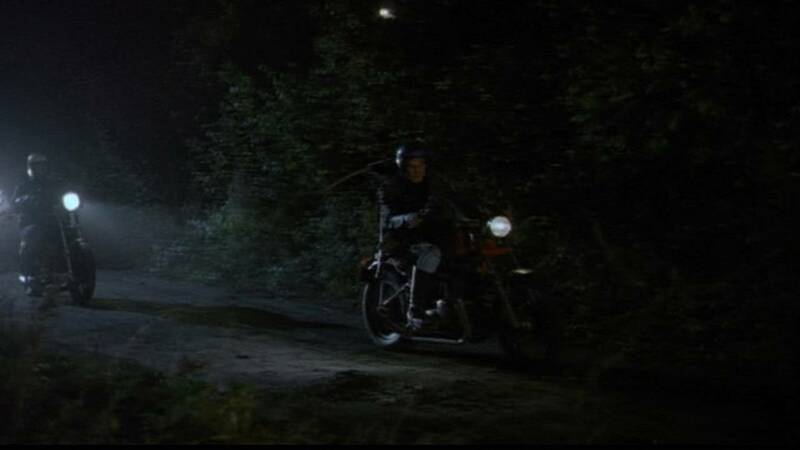 Wherein I review the infamous 1990 British horror-comedy film I Bought a Vampire Motorcycle starring C-3P0 and a Norton Commando. Cultists and Demons and Vampires and Nortons, oh my! So, as you guys might be aware, we do a fair number of movie reviews around here. Now, Bryan does an excellent job at it, and I'm not trying to steal his thunder, but there's a movie I've been dying to watch and I finally got my hands on it. See, I love trash cinema. Give me a terrible genre or exploitation flick, a six-pack, and a handful of friends to inflict it on and I'm a happy man. I unironically love Tommy Wiseau's "The Room". I have a solid collection of those weird DVD compilations that are, like, "50 Science Fiction Classics" or whatever. I worship at the altar of The Ghoul, of Big Chuck and Lil' John, of Ghoulardi and Sir Graves Ghastly. I consider B movies entirely too snooty and intellectual. What I'm saying here is, I love bad movies. 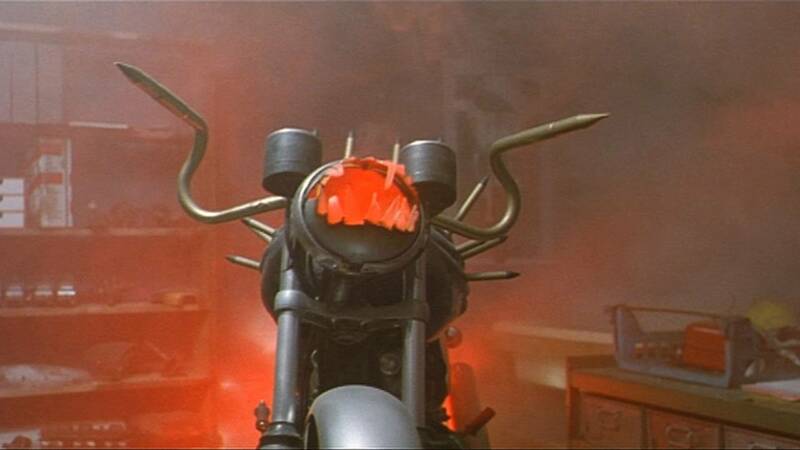 With that said, I want to talk to you guys about what is possibly the trashiest motorcycle film ever made – I Bought a Vampire Motorcycle. Good lord, you guys. Where to start? 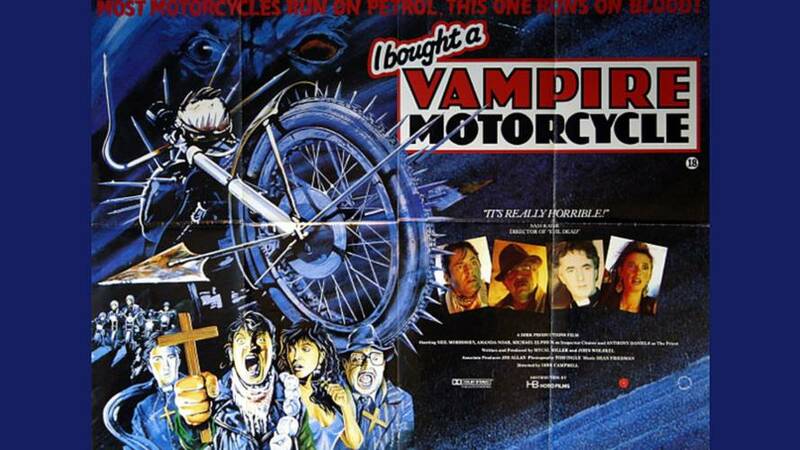 For those of you who don't know, I Bought a Vampire Motorcycle is a 1990 British horror-comedy directed by Dirk Campbell—a director who worked primarily in children's television. This tour de force stars Neil Morrissey – not to be confused with the Moz we all love to hate – as a motorcycle courier named Noddy and Amanda Noar as his girlfriend and business partner Kim. The movie also stars a whole bunch of British actors I've never heard of and, of all people, C-3P0 himself Mr. Anthony Daniels playing a character known only as The Priest. I guess those Star Wars royalties weren't paying the rent in 1989. Lord of Hell I summon thee etc. etc. 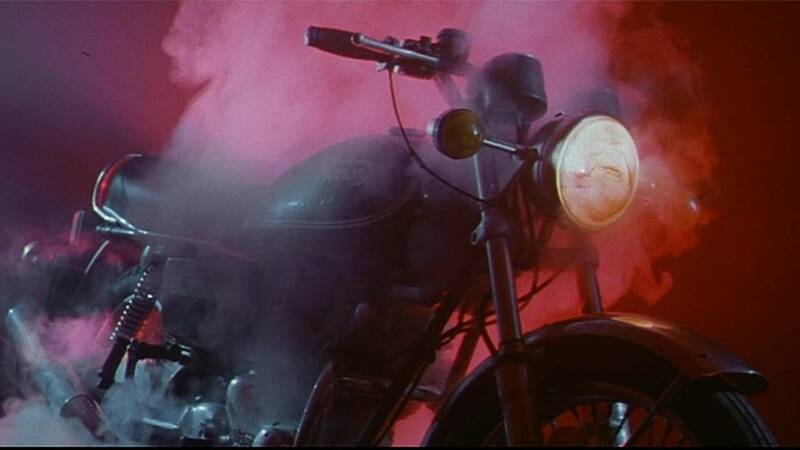 The movie opens with a pack of red-cowled biker occultists (just work with me here, okay?) milling around a campfire under a London overpass while their leader sacrifices a chicken in an attempt to summon a Prince of Hell named Aruman (I think, there's not really a spelling guide with this movie). Meanwhile, while this Alistair Crowley wannabe dicks around with chickens and recites his incantation, a rival gang of biker... demon hunters maybe? shows up armed to the teeth to stop this unholy ritual. 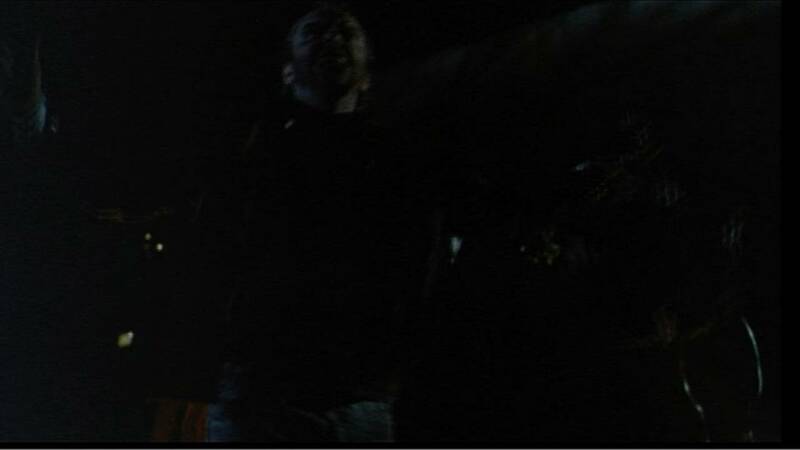 The ritual comes to a climax as the armed gang gets into position, and just as the head occultist is about to speak the final word of his incantation, his rival shoots him in the back with a crossbow. He pitches face first into the fire, and a bloody fight ensues as the hunters just annihilate the occultists with shotguns, axes, and chains. Unbeknownst to everyone, the demon was actually summoned but, since the occultist didn't quite finish the incantation, it has no physical form. Once the hunters take off, the demon possesses the corpse of the deceased occultist and shuffles over to an absolute mint Norton Commando. Since it took a crossbow bolt to the tank during the fight, the bike is out of gas so the demon splashes the occultist's blood all over the tank and filler neck. 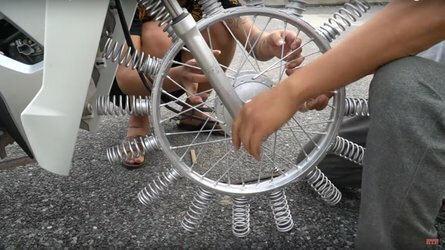 This transfers the demon's essence to the bike and fuels it. Now fueled by the demon's power, the Commando comes to life and rides off into the night. 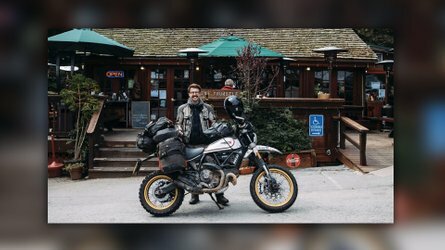 The next day Noddy, co-owner of a courier service called Warhead Dispatch, buys the Commando—which has inexplicably found its way to a bike shop—from a used bike dealer. This sets off a chain of events that includes death, dismemberment, vampirism, exorcisms, gross-out humor, lots of puns and dadjokes, more garlic than southern Italy, so many dead bikers, roughly four million gallons of fake blood, and a whole lot of stupid fun. I'm not going to ruin it for you, but suffice it to say that our man Noddy prevails in the end and the world is saved from a blood drinking Norton Commando. 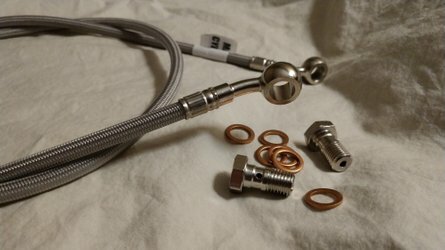 So, is it worth it? I'd say so, yeah! I paid around ten bucks for the DVD on Amazon, and it's not too long with a run time around 100 minutes. The story's a little thin, and it drags in the middle a bit, but it's not too bad. The score, such as it is, is bog standard horror fare and the cinematography isn't much to write home about. It's better than a lot of terrible movies I've seen, though. As for acting, well, it's a Z-grade horror movie about a vampire motorcycle. What do you think the acting is like? Actually, it's not too bad. Morrissey and Noar are charming as Noddy and Kim, there's a police inspector who's kind of an off-brand Columbo, and Anthony Daniels eats all the scenery as the beleaguered priest. As an added bonus, it's chock full of cool bikes like Noddy's painfully 80s Kawasaki and the nameless but still exceedingly cool choppers the bad guy bikers scoot around on. Also, of course, there's the possessed Commando. My good friend Todd, himself an aficionado of trash cinema and old British iron, told me when he heard I was watching this that, "If you don't want a Norton after this you are dead inside." I scoffed then, but now, man, I kinda want a Commando. After some consideration, and a lot of rye whiskey, I give I Bought a Vampire Motorcycle four out of five messy decapitations. It's everything I expected when I bought it, and it actually delivers on the promise of the amazing theatrical poster. It's gross, dumb, loads of fun, and I'd recommend it to anyone who likes bikes, 80s horror films ('cause even though it was released in 1990 it's definitely a product of the 80s), and trashy movies. 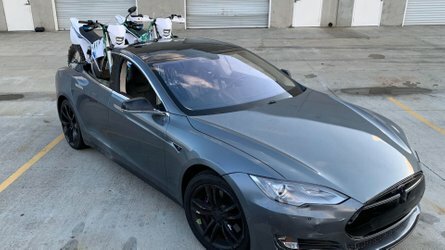 I Bought a Vampire Motorcycle is not currently streaming anywhere reputable. I got my copy on Amazon from a third-party dealer for around ten bucks with a couple bucks for shipping. It's totally worth it, you should check it out.